At Cary Family Dental, we know from experience that most people are uncomfortable with a missing tooth in the front of their mouth. It doesn’t seem fair, but a gaping hole in a smile has negative connotations for adults in most social circles. With a dental implant you can fix gap in your smile, simply and effectively. When someone loses a back tooth, on the other hand, they are more likely to leave the gap. “You can’t really see it when I smile, right?” “I have another molar back there, I can chew with that one.” If the tooth had been hurting, sometimes they are so relieved that the pain is gone, they consider the extraction the final answer. This attitude is unfortunate. 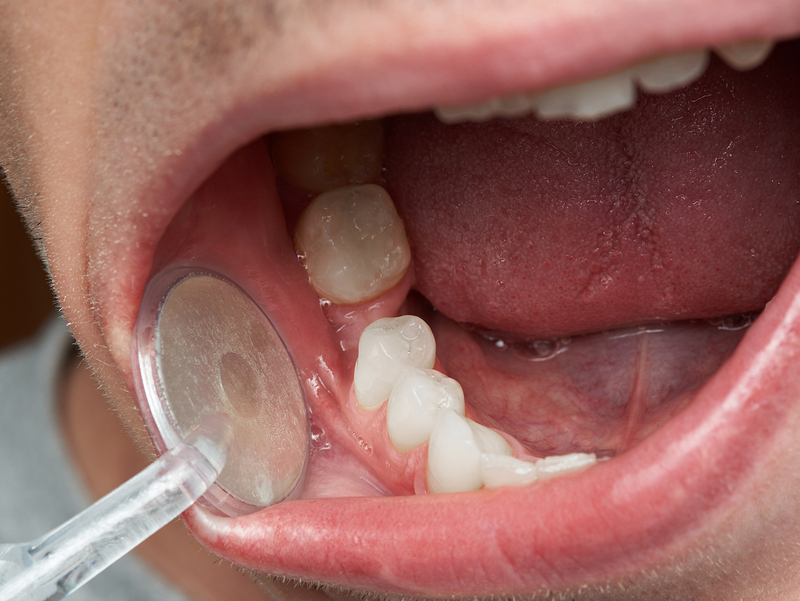 The purpose of this post is to dispel the myth that a missing back tooth has no consequences. Since we can’t see the bone that anchors our tooth roots, we don’t frequently consider its condition. The health of our jawbone plays an essential role in overall oral health. When a tooth is extracted, the bone at the extraction site shrinks and recedes over time. Since a dental implant replaces the tooth root (as well as the visible part), it maintains the health of the bone. In so doing, it also protects the bone for the adjacent teeth. The jawbone is the foundation of the lower face. If it shrinks and recedes, everything that sits on top of it will follow suit. A person with bone recession will eventually get that “sunken in” look that can make them look a lot older than they really are. A permanent dental implant, unlike a dental bridge, preserves the framework of the face. Another risk is shifting teeth. If teeth adjacent to the extraction site start moving, it can create a domino effect. The unopposed tooth on the opposite arch can also move, though it typically moves outward from the bone (over-eruption). In addition to esthetic considerations, teeth that are displaced in jeopardy of periodontitis, decay, TMJ pain, or bite issues. There will also be increased stress on the teeth that take over the chewing functions—compromising their strength as well. Investing in a dental implant could be far less costly than treating the problems mentioned previously. Implants can even support a set of dentures. Call our office to schedule an appointment today.